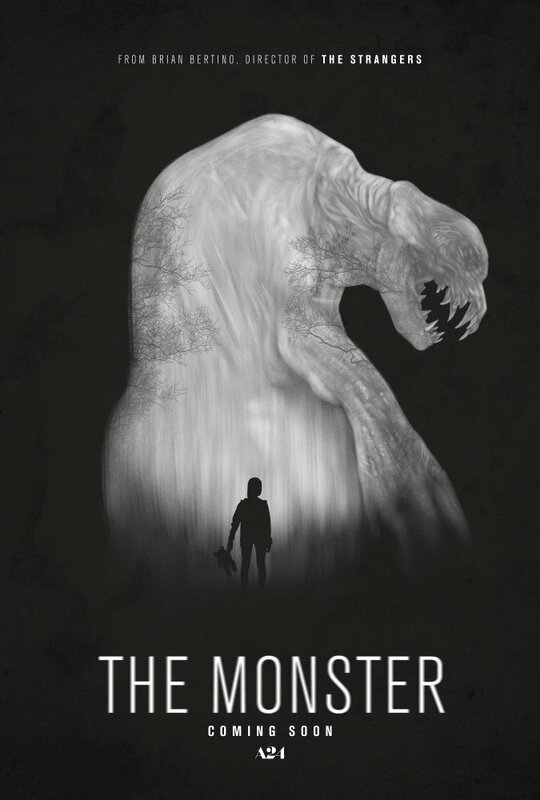 The Monster, an official selection of the 2016 Tacoma Film Festival, tells the story of what could happen when your car breaks down on a little used stretch of highway in the middle of a forest at 12:15am. The movie was directed by Bryan Bertino and features acting performances by Zoe Kazan, Ella Ballentine, and Aaron Douglas. Sometimes these small, independent productions sort of come out of nowhere and surprise you with how good they end up being. I was a little worried that this movie was not going to deliver on the promise of creating a truly scary and intense horror movie experience yet Brian Bertino has done just that. At first, he takes his time introducing us to the primary characters, a mother and her daughter, and the personal demons they are already dealing with before he sends them off to face a real one. Contrasting the affects of addiction versus the threat of a tangible, physical danger was a very interesting way to tell the story and it almost felt like the mother's past had literally come back to haunt her. 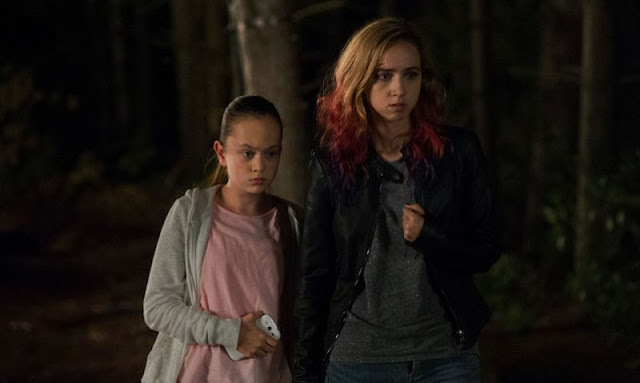 Zoe Kazan perfectly plays the troubled parent and provides a great contrast to her more responsible on screen daughter, played by Ella Ballentine. 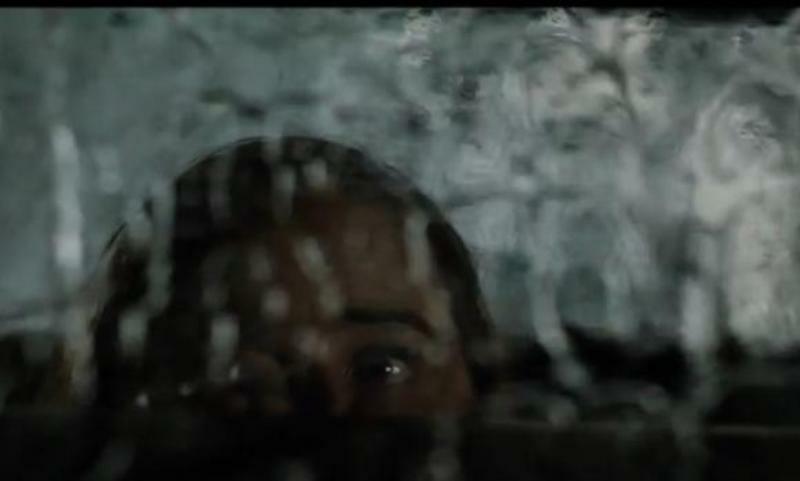 From the opening scene it's pretty apparent that the mother wants nothing to do with being an adult so the daughter has no choice but to take on the role. Kazan and Bellentine work really well together and the role reversal that takes place over the course of the film is spot on thanks to what each of the actresses brings to the table. Meanwhile, the monster is slowly revealed over the course of the film, at first seeming like an imaginary threat until it eventually reveals itself to be something much more and this is where the practical effects department scores a big win. To avoid spoilers, I won't say much else about the monster or anything else. The Monster is a legitimately scary and intense horror movie that fans of the genre should really appreciate. It is genius in it's simplicity, doesn't rely on bloated special effects, and digs into some serious psychological territory. If you like horror films, this is a must see.